In the age of high technology and mass use of the Internet in mobile devices and computers, one of the priority and important problems is reliable protection of electronic devices from hacking from outside. To prevent unauthorized access to the file system and other hardware computing devices use special software, which is called a firewall, or firewall. Such software can detect malicious applications that attempt to transmit important data without user consent. For mobile devices running the Android operating system, there are also firewalls. 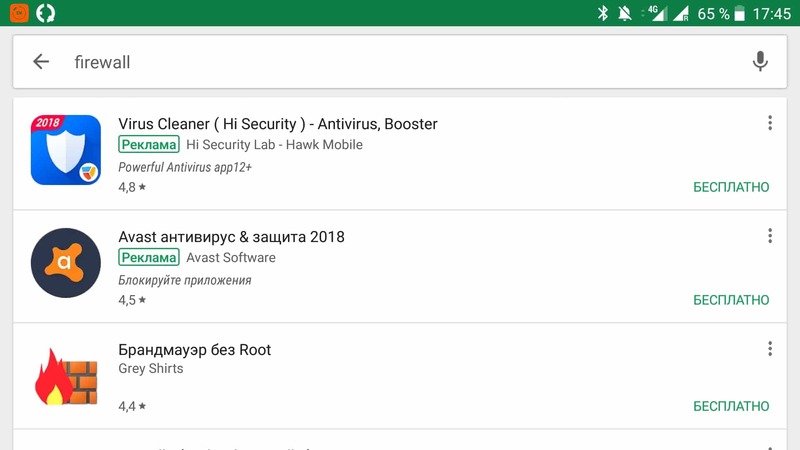 Why use a firewall with the OS "Android"
When surfing the Internet from a mobile device, the amount of traffic is less than when using a personal computer or laptop, but even with such restrictions, no user can be completely sure that malicious programs will not penetrate his electronic device. They can disable the operating system, damage other applications, as well as the file system and steal the user's personal data. To prevent unpleasant consequences, it is necessary to install a firewall for devices on the “Android” of any other OS. Since the Android operating system is the most popular and used by a huge number of users, we will consider the use of a firewall for these devices. Firewall, or firewall, on android is a software that allows you to protect an electronic computing device from external network attacks. 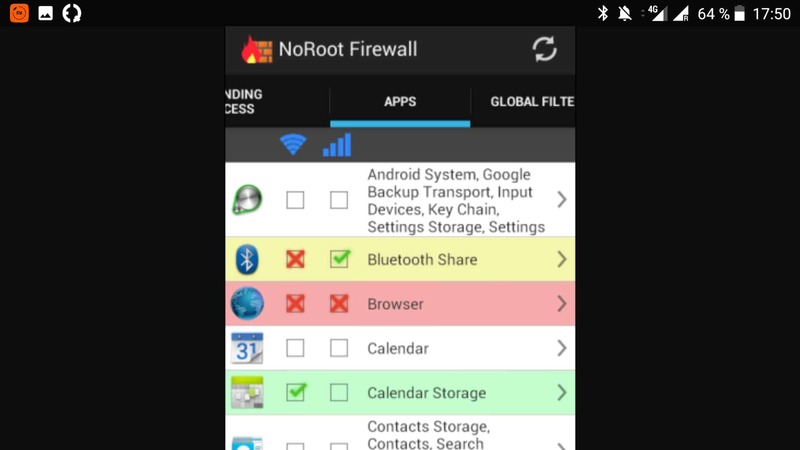 Firewall for android in the course of their work is constantly in memory and monitors the transmitted traffic. 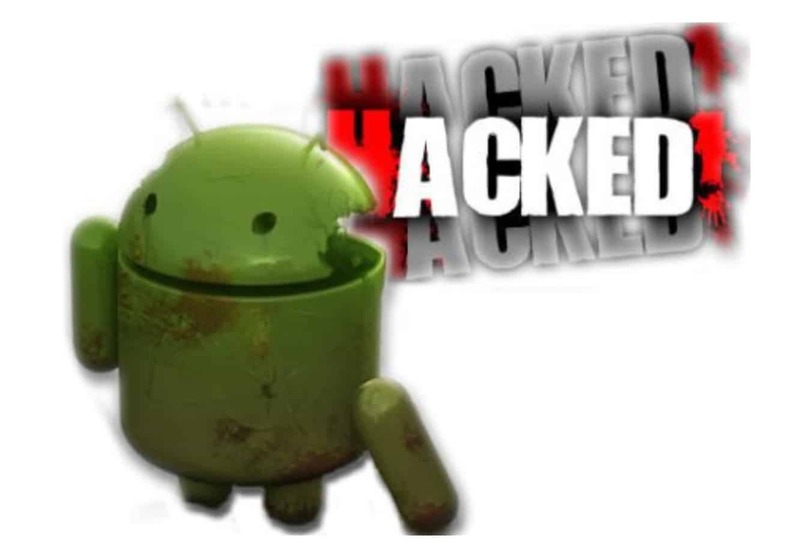 In the event of suspicious processes trying to make unauthorized data transmission, the firewall for android blocks them. At the moment, many different applications have been released, which can have a complex combination of protective functionality. protects the device from hacking from the outside. If the anti-virus application monitors malicious code only on the electronic device itself, then the firewall allows you to detect processes that transmit data from the network or to the network without notifying the user. The simultaneous use of antivirus software with the firewall for the android allows you to more securely protect your mobile device. An inexperienced user to monitor the security of their gadget is difficult, but if you want it is not so difficult. Especially for such cases, developers have released a lot of various software. Some of these applications are paid, but there are many free ones. Unfortunately, it is possible to work with some such programs if you have root-rights, which means that it is not safe. It often happens that the capabilities of the operating system itself are very limited, so you will need to install purely special applications. You can find the right application on the Internet or in any other convenient way. installation of applications that do not need a high level of access. Depending on the hardware of the mobile device and the operating system, getting root rights can be difficult. What to do in this situation? You should use a firewall that does not require root-rights, - NoRoot Firewall. This software is slightly more limited in its functionality than similar software with a higher priority access level. However, it still has the necessary arsenal of features and settings that help protect your mobile device. The program has the ability to create lists of IP addresses to which it is necessary to block data transfer, as well as the usual thing for such programs, such as notification of processes attempting to transfer data about which the user is not notified. This is very convenient, since the transfer processes are not controlled by programs written by someone, but by the user himself. As for the general settings, then if you do not really understand this software, you do not need to change anything at the beginning of the launch. When you first start the program, press the "Start" button, and also check the startup point. After that, we allow access to the VPN connection and its settings, that's all. Now you can use all available functions. The program takes into account the types of connection, namely Wi-Fi-protocol and GSM. 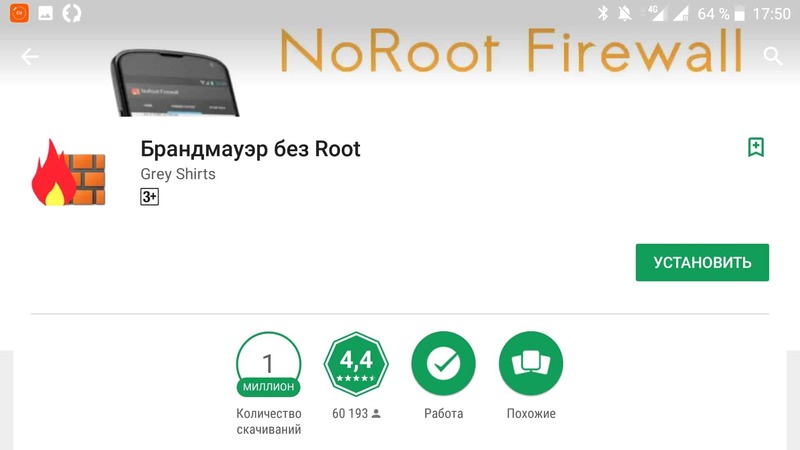 On the Internet you can find many other similar applications, but before downloading and installing the firewall for the android, it will not hurt to read the technical documentation and make sure that you need to have root-rights.